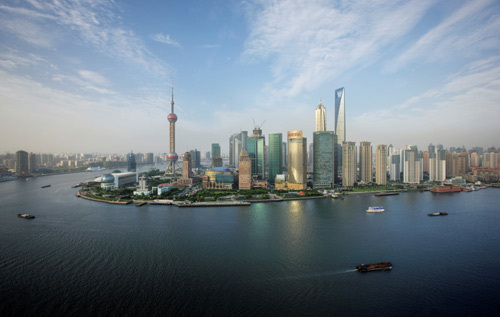 Shanghai has a rich collection of buildings and structures of various architectural styles. 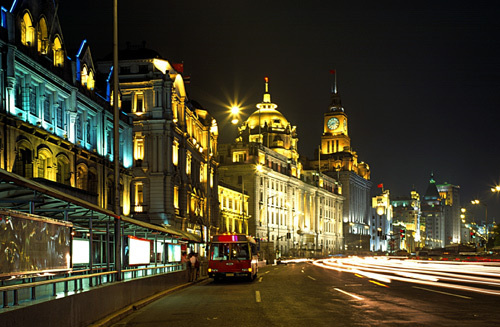 The Bund, located by the bank of the Huangpu River, contains a rich collection of early 20th century architecture, ranging in style from neo-classical HSBC Building to the art deco Sassoon House. A number of areas in the former foreign concessions are also well preserved, and despite rampant redevelopment, the old city still retains some buildings of a traditional style, including Yuyuan Garden, a traditional garden in the Jiangnan style. In recent years, a large number of architecturally distinctive, even eccentric, skyscrapers have sprung up throughout Shanghai. Notable examples of contemporary architecture include the Shanghai Museum and Shanghai Grand Theatre in the People's Square precinct. One uniquely Shanghainese cultural element is the shikumen (石库门) residences, which are two or three-story townhouses, with the front yard protected by a high brick wall. 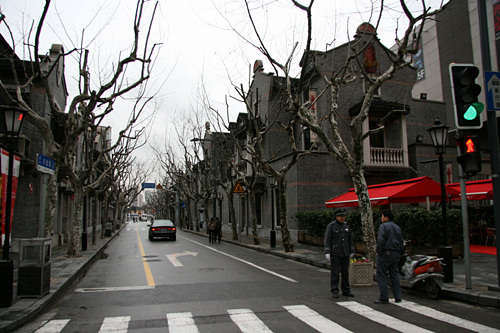 Each residence is connected and arranged in straight alleys, known as a nongtang (弄堂), pronounced longdang in Shanghainese. The entrance to each alley is usually surmounted by a stylistic stone arch. The whole resembles terrace houses or townhouses commonly seen in Anglo-American countries, but distinguished by the tall, heavy brick wall in front of each house. The name "shikumen" literally means "stone storage door", referring to the strong gateway to each house. The shikumen is a cultural blend of elements found in Western architecture with traditional Lower Yangtze (Jiangnan) Chinese architecture and social behavior. All traditional Chinese dwellings had a courtyard, and the shikumen was no exception. Yet, to compromise with its urban nature, it was much smaller and provided an "interior haven" to the commotions in the streets, allowing for raindrops to fall and vegetation to grow freely within a residence. The courtyard also allowed sunlight and adequate ventilation into the rooms. The Shanghai International Exhibition Center, an example of Soviet neoclassical architecture in Shanghai. The city also has some beautiful examples of Soviet neoclassical architecture. These buildings were mostly erected during the period from the founding of the People's Republic in 1949 until the Sino-Soviet Split in the late 1950s. During this decade, large numbers of Soviet experts poured into China to aid the country in the construction of a communist state, some of them were architects. 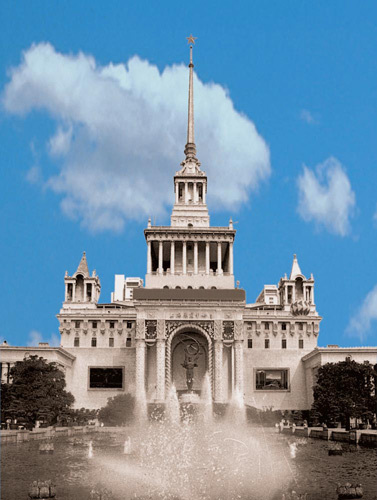 Examples of Soviet neoclassical architecture in Shanghai include what is today the Shanghai International Exhibition Center. Beijing, the nation's capital, displays an even greater array of this particular type of architecture. The Pudong district of Shanghai displays a wide range of supertall skyscrapers. The most prominent examples include the Jin Mao Tower and the taller Shanghai World Financial Center, which at 492 metres tall is the tallest skyscraper in mainland China and ranks second in the world. The distinctive Oriental Pearl Tower, at 468 metres, is located nearby toward downtown Shanghai. Its lower sphere is now available for living quarters, at very high prices. Also in Pudong, a third supertall skyscraper topping the other Shanghai buildings called the Shanghai Tower is under construction. With a height of 632 metres (2074 feet), the building will have 127 floors upon planned completion in 2014.